We have been informed that the provincial health department is now the Governing Body for our industry, not the city of Winnipeg. This change came into effect April 2012. We are now adjusting our policies to coincide with those of the province. 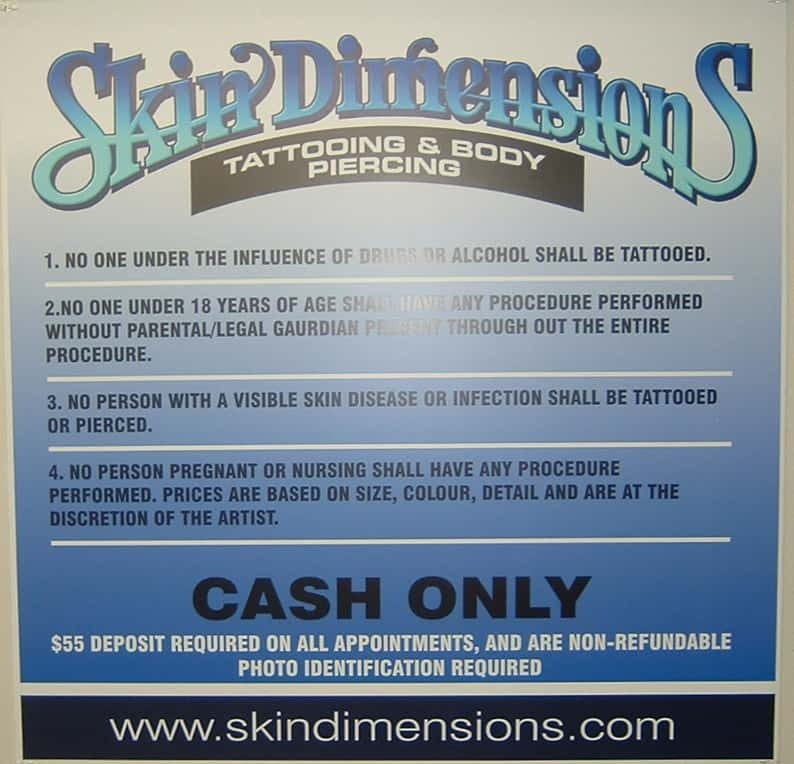 When coming to us to receive a body modification, you should bring some form of government issue photo identification. This is a requirement. If you are bringing your minor child to have work performed, please be aware that a Manitoba Medical Health Card with parent and child on it will need to be presented as well as parent’s photo identification. If your teen is having a modification, be aware that the signing parent MUST be present during the entire procedure. This is a requirement of the provincial health department. No one under the age of 15 years old shall be tattooed. Touch ups are free of charge,within 6 months of tattoo completed in studio by our staff. No one under the influence of drugs or alcohol shall have any modification done.